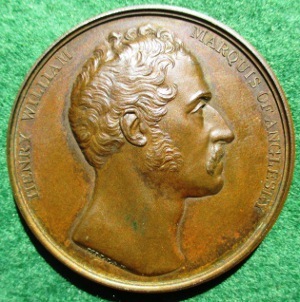 Notes: Sir Henry William Paget (1768-1854), was created first Marquis of Anglesey in recognition of his service at Waterloo. During the cavalry charge he was hit in the knee which necessitated the amputation of his right leg. 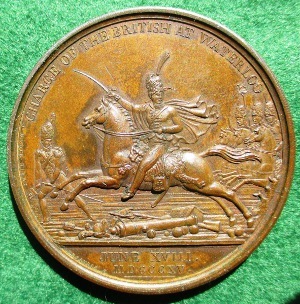 The medal is from James Mudie’s National Series published in 1820 depicting major events in George III’s reign. Offered with an old Spink ticket priced at £15.